Retail stores, large and small, must drive top-line revenue, while protecting bottom line from loss – all while managing everday issues of staffing, logistics, and merchandising and layout. 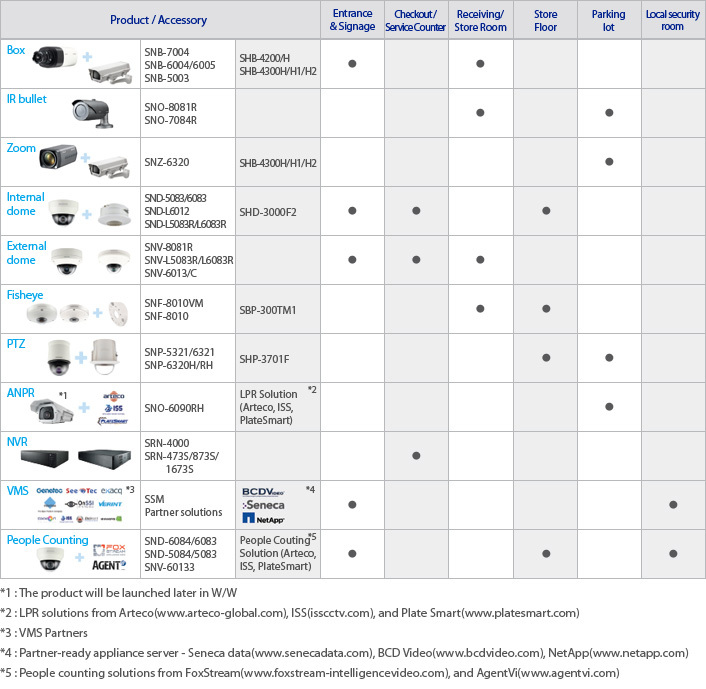 Loss prevention and asset protection are well established uses of video surveillance in Retail. Video solutions have now also become practical and affordable to inform operations, merchandising, and marketing decisions for store sales and customer experience. Successful customer visits to Retail stores drive a customer sale and conversion, but also build loyalty and return visits. So the store environment must present effective displays, staff engagement, and layout for customers on the store floor. Effective retail store visits, as well as customer and employee safety, can be assured in other ways as well – as illustrated in this brochure. 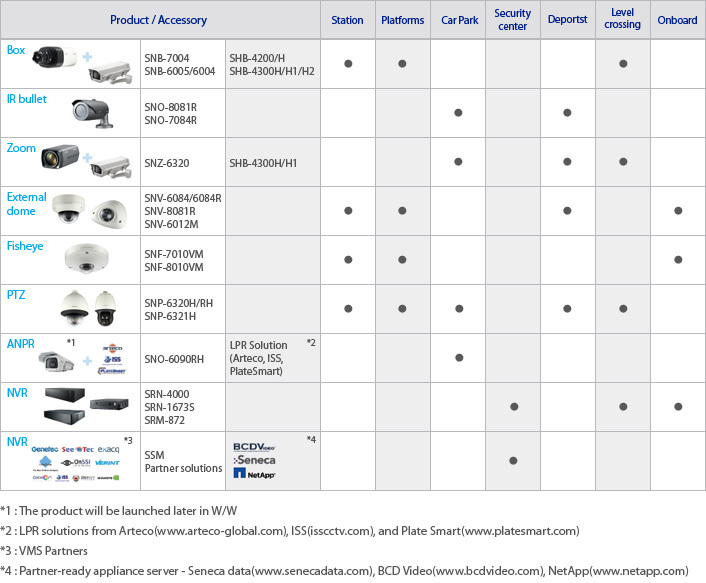 For stores of all kinds, video surveillance brings value to address the common and special solution requirements: from large “big box” and department stores, to small convenience stores, and so many special store types and solution requirements. 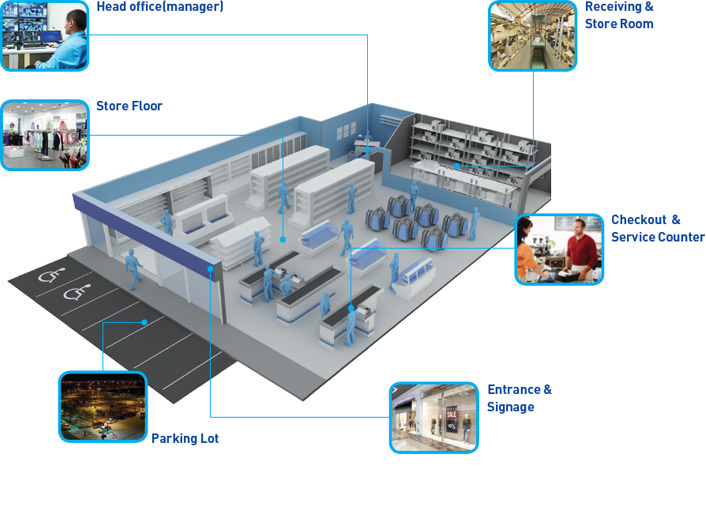 Samsung Techwin, with its technology ecosystem, offers solutions for Large and Small stores’ requirements, for Large and Small chains. Cities represent the very centers of economic vitality and public life. Thriving communities depend on a law-abiding, economically vital society that functions in cities that are operated effectively. 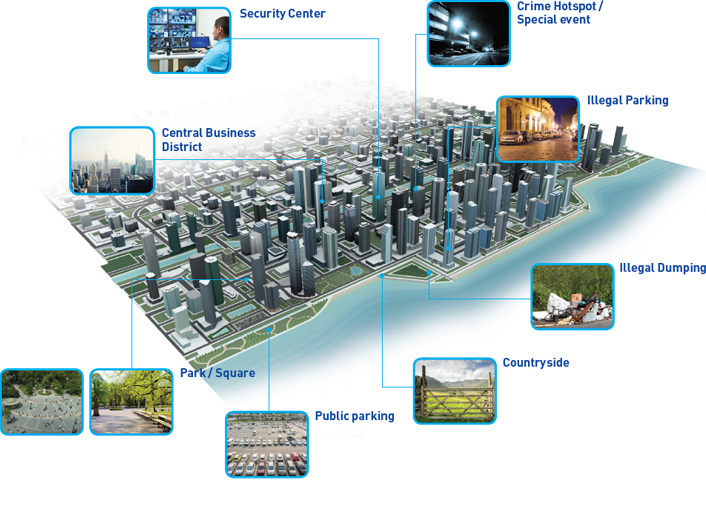 Video surveillance plays an essential role in the effective management of cities every minute – at all hours of the day and night. The result is greater awareness from far away, to enable the right immediate response or monitoring of developing conditions. This is true whether it be a routine workday, or a day where there is a mass gathering or event, severe weather, or other planned or unplanned disruption to the routine day in the economy. With public budgets stretched as never before, the tough job of law enforcment and city operations have only gotten tougher. Stakeholders such as law enforcement and public safety use surveillance as a “force multiplier” from effective awareness, response, investigation, and evidence. The result is greater efficiency to respond to incidents with limited resources. More recently, video is used by operations and emergency management stakeholders for the city, such as for well-planned mass events, or unplanned natural or man-made disasters. 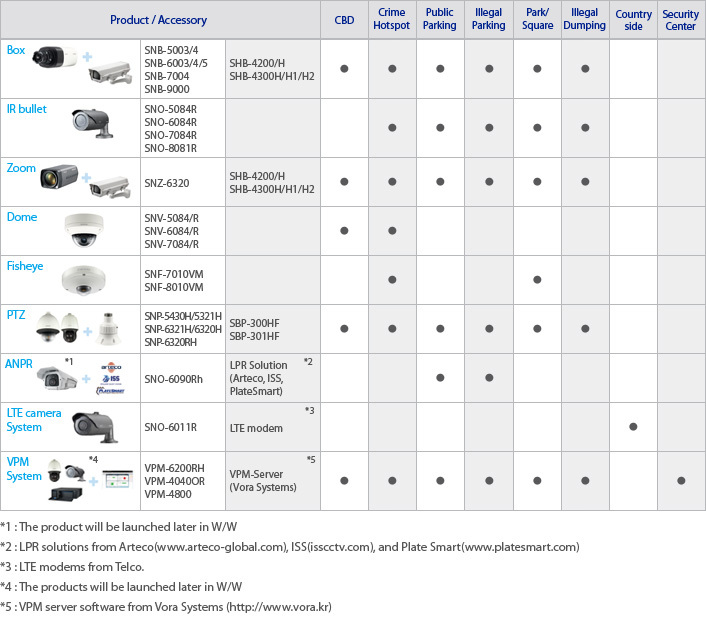 The areas of a city and special circumstances represent different needs for video surveillance solutions, as illustrated in this brochure. Every day, Banking enterprise must address risk in two key environments: Branches and ATM’s. Video surveillance serves these two environments in very different ways for the multiple missions of the Banking enterprise. Beyond just the aspect of security, the mission of the branch is to augment online services with a great customer experience. That brings worthy challenges of its own to address, including operational efficiency and staffing decisions. In bank branches, with employees and customers present, video surveillance technology is vital in multiple areas – before, during, and after branch business hours: such as Entryways, Teller Counters, and Drive-Thru – all areas that serve the branch customer experience. Risk aspects are a wide range: from compliance and safety of employees to customer slip-and fall claims. Risks of loss stem from both external threats and internal threats as well, so coverage is needed not only in the main public areas but vault and restricted “employee only areas” as well. 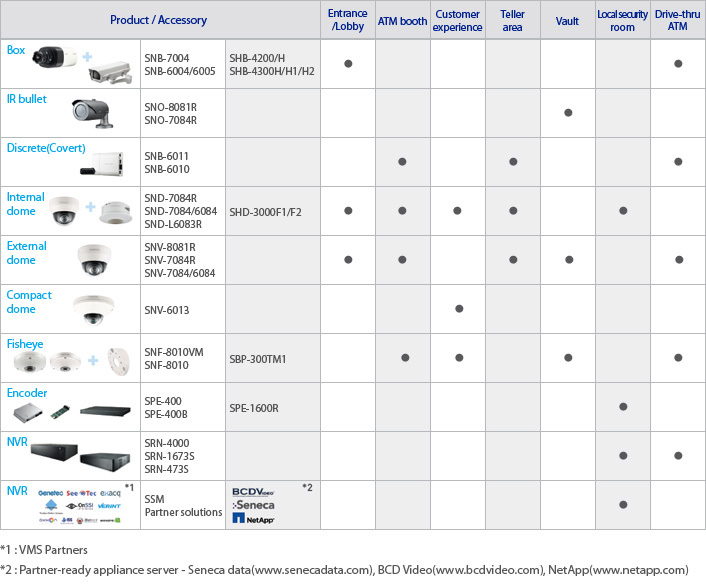 Samsung Techwin video surveillance solutions – for IP network and analog – bring value to both risk and opportunity factors of Banking success, as illustrated in this brochure. Every commute, every day, Rail Operators face challenges — in the routine and in the extreme — as they ensure their systems continue to run safely, efficiently, on-time. And as they strive to deliver a positive passenger experience and safe, clean stations and trains, to improve ridership. Very often they are facing these challenges with “blind spots,” with limited or inadequate visibility.. 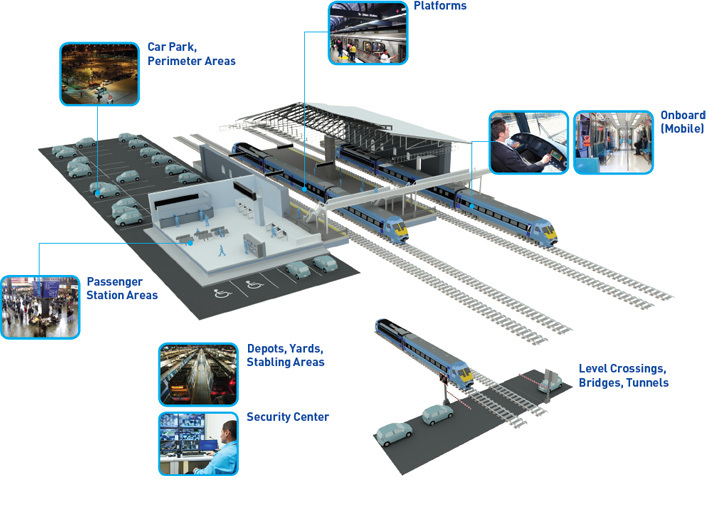 Advantages like more cost-effective, high performance video features, and efficient use of infrastructure, with equipment certified for visibility in stations, yards, waysides, car parks, perimeters – the right camera for any operations or passenger area – even trackside. For this tough job, equipment must be built to last – so must the company that provides them. 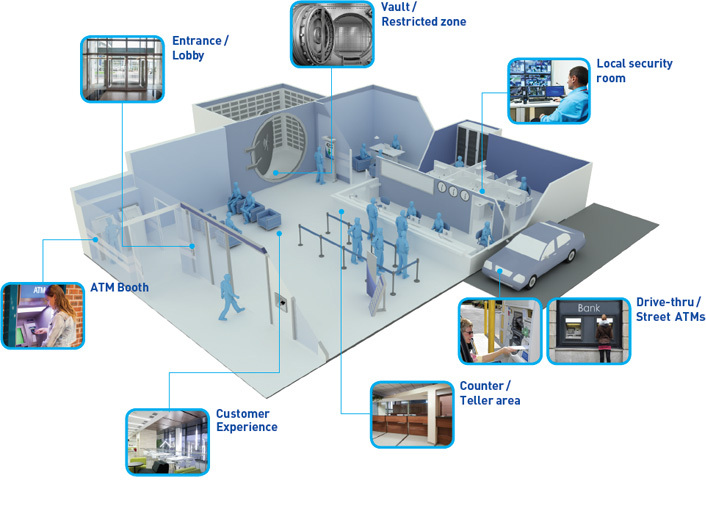 A manufacturer of lifecycle-ready solutions stands behind a full equipment lifecycle, and can also serve in future phases. © 2018 Avit Communication Co., Ltd. All rights reserved.